The rules of 7 Card Stud are much the same as Texas Hold’em. 7 card stud is the most popular of all the stud games and has a history dating back to the Civil War. There are also 6 and 5 card versions, but they aren’t nearly as popular. 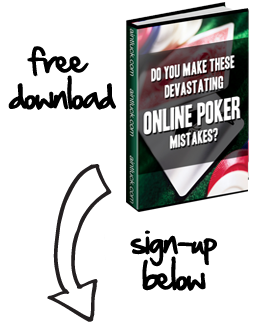 You can usually find this game being played in almost every casino and online poker room. Seven Card Stud and its close relative, 7 card 8 or better hi-low split, are both limit games. Initially every player posts an “Ante”. This is a forced bet to get money in the pot before any betting occurs. 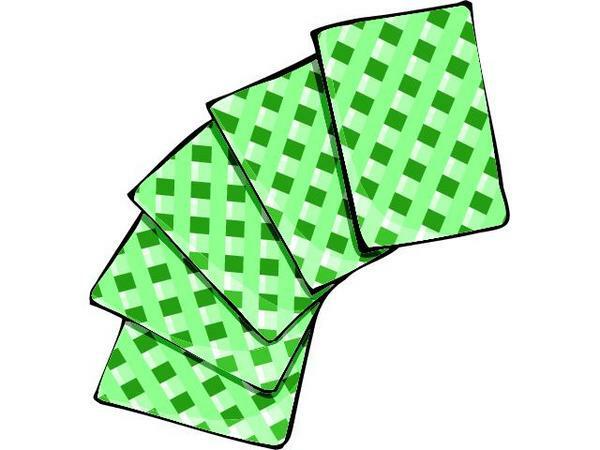 Each player is then dealt one card at a time until every player has 3 cards. The first 2 cards are dealt face down and the 3rd card is dealt face up. This face up card is known as a Door Card. All dealing and betting runs in a clockwise order. There are five rounds of betting in Seven Card Stud. The first two rounds use the lower limit bets and the last 3 rounds use the higher limit bets – similar to Limit Hold’em. The exception to this is if a player holds a pair or better on 4th Street as seen below. Betting starts with the player holding the lowest Door Card. This first bet is known as the “Bring in” or the “opening bet”. If two players hold the same value Door Card then the Bring in is decided by suit, in alphabetical order (clubs, diamonds, hearts, spades). Each player has the option to call, raise or fold as they see fit. Every player still involved in the pot is dealt another card face up (an up card). Betting on this round begins with the player holding the two strongest up cards. Strongest hands are determined by regular Poker hand rankings, i.e. high card, pair, two pair etc. If a player holds a pair they can make a double bet. Betting then continues around the table as normal. Every player still involved in the pot is dealt another up card. The player with the strongest up card combination starts the betting on this round. From this point onwards all bets are big bets. Every player still involved in the pot is dealt another up card. The player with the strongest up card combination starts the betting on this round. Each player still involved in the pot is dealt one final card face down. So, each player now holds 4 up cards and 3 down cards. Again betting begins with the player holding the 4 strongest up cards and continues clockwise around the table. Once all betting is complete players reveal their down cards and the player with the best 5 card hand wins. The player who made the last bet reveals his/her hand first. If there is no betting on the last round then the player with the highest value of up cards reveals first. In the case of players holding the same winning hands normal split pot rules apply. 7 card Stud Hi Lo follows the exact same betting structure as regular Seven Card Stud. The difference is that in Hi Lo the pot can be split between two qualifying hands, the high and the low. To qualify for the low hand you must hold 5 unpaired cards all with a value of 8 or lower. An Ace can be used as a low card or as a high card. It is possible to hold both the best high hand and the best low hand and win the full pot. For example, A-2-3-4-5 would qualify for both…competing as a straight for the high hand and as 5 high for the low hand. If there is no qualifying low hand then the full pot is awarded to the best high hand.